Although the aftermath of the US elections and the rise of 'fake' news on American social media and the press have caused a stir around the world, African news consumers have had to deal with 'fake' news for some time. RFI's Laura Angela Bagnetto speaks to three media experts on the continent-- Jimmy Kainja, Zumba, Malawi-based media expert and co-editor of Africablogging.org, William Bird, the executive director of Media Monitoring Africa, and Anim Van Wyk, the editor of Africa Check South Africa to find out how readers and listeners can protect themselves. Egyptian-born Canadian journalist Mohamed Fahmy has published a book about being jailed for collaborating with the outlawed Muslim Brotherhood. The Marriott Cell recounts the story of how he and his Al Jazeera colleagues were branded terrorists and spent more than a year behind bars before he was pardoned by President Abdul Fattah Al Sisi. The case grabbed headlines around the world and marked a key point in Egypt’s changing relationship with press freedom. This week’s African Media spoke to Mohamed Fahmy about his time in a notorious Cairo prison, how he had access to some of the world’s most dangerous terrorists and the message he would send to other journalists currently languishing in Egyptian jails. Can you tell us about your book? It basically includes details of my case and how I spent 438 days incarcerated in Egypt and branded as a terrorist while I was only doing my job as a journalist for Al Jazeera. It was interesting to write because it includes interviews with members of the Muslim Brotherhood, ISIS [the Islamic State armed group] fighters and Al Qaeda fighters that I conducted and gathered inside prison. It also includes the battle for freedom - what we did to get out of prison - dealing with the courts, the judges, the lawyers. How this fight was complicated and wasn't just an issue of press freedom but also a geopolitical battle between Egypt and Qatar, the owner of Al Jazeera. I also highlight a lot of the mistakes that the network made as well and what they did that made our situation more difficult. What sort of position did Qatari ownership of Al Jazeera put you in? Qatar definitely kept us in the dark on many issues, for example, how Qatar had signed the Riyadh Agreement while we were working. Basically that means that the Qatari emir had promised countries in the Gulf like Saudi Arabia, Kuwait and Bahrain that he would not use the Al Jazeera platform to attack them. Qatar would not meddle in the internal affairs of Egypt, Saudi Arabia and many of these countries who were not happy with Al Jazeera. That he [the Qatari emir] would not allow Muslim Brotherhood guests to appear on the channel. However, we as journalists were not informed of these details of the Riyadh Agreement and were kept in the dark. This complicated matters for us. Having said that, I also believe that this trial was flawed with many mistakes. I spoke in court many times against the prosecution, I highlighted how they should differentiate between the responsibilities of the journalists and that of the network. Specifically, we found out in court that the network did not have the proper documents and they were not legally operating in Egypt in the first place. We were also kept in the dark about this issue. So I clearly document what both sides have done that led to our incarceration and it’s not acceptable that any journalist should be thrown in prison. Was writing this book a cathartic experience? It was definitely therapeutic in many ways. But I wrote this book specifically because although journalists like yourself and journalists from all over the world did a great job, there was so much context lost in the coverage of the trial. It’s almost understandable because of the rise of ISIS and the case happened when a lot of breaking news was happening. So much of the context of why we ended up in prison in the first place was not presented in the media. I just felt it was my responsibility to clarify a lot of the misconceptions to the millions of people who supported our case. Especially those related to issues of press freedom and how important it is to fight for that noble cause. But also issues related to the responsibilities of networks towards the journalists and towards the protection of journalists and that is something that Al Jazeera completely failed to do. This includes issues related to the protection of citizens, for example, in Canada. I highlight a little bit of what could have been done in a better way and I feel that this book was my way of sharing a lot of these experiences. To be honest with you, many of us spend our lives trying to get close to terrorists and interview them on the frontlines and many of our friends have lost their lives whilst doing so, like James Foley and Steven Sotloff and the list goes on. Here I was, inside the prison, surrounded by the possibility of these long exclusive interviews, being able to speak to many of these terrorists and not worry about my own security because there's bars between us. So I document a lot of these interviews in the book. What was the Scorpion prison like? Scorpion prison is one of the worst prisons in the Middle East and as a journalist and aid worker I've been to many prisons. There is no sunlight, it is filled with cockroaches, mosquitos and you’re sleeping on the floor in the cold weather. The guards are very manipulative and you have a very hard time getting goods in during the family visits. Your family could wait for hours before they get to see you for half an hour. It is extremely tough to be inside Scorpion prison. Many prisoners have lost their lives due to medical negligence, etc. However, our situation got a little better after the international outrage and the three journalists, including myself, were moved to a better prison. We lived together in one very small cell and the only reason we were able to survive was the support of our families, embassies and journalists outside. That kept our morale going and it kept us alive. Before you were moved into a cell with the other journalists, what was your deepest, darkest moment? For any prisoner the darkest moment is to assume that you are going to spend years and years in that dirty, filthy cell surrounded by terrorists. You don't know what is going to happen to you, that feeling of uncertainty, that's the main problem. Your mind can be your most dangerous enemy. Until the final verdict I was still hopeful that things could go our way, but throughout my incarceration, the darkest moment was definitely being sentenced to seven years for a crime I didn't commit. That's the moment I broke down and I started getting really worried for my wellbeing. How did you ensure that you kept your mind focused? How did you occupy your mind, so that you didn't find yourself in that dark place too frequently? I had to balance my physical being, my mental being, my spiritual being in any way possible. Jogging on the spot, finding ways to keep time, although I didn't have a watch, and so on. But when things got better and we were allowed books - it’s very ironic the thinnest book in the stack was called Man's Search for Meaning written by Viktor Frankl. He's a survivor of the Holocaust during the Nazi era in Germany. He speaks of a concept called tragic opportunism, how you can turn human suffering into a human achievement. How do you say yes when you're facing death, pain and injustice - that's exactly what I was going through. This book helped me a lot and I still think about it and I read it again when I was outside. I still believe that trying to rise above this madness of the incarceration and helping others ensures that your imprisonment is not arbitrary. That's what I'm doing now - by writing the book, by hoping it helps others, by speaking about the ordeal - fighting for what we believe in as journalists and human rights defenders. And I hope it does help people who are in similar situations. If you could send a message to other journalists who currently languish in Egyptian jails, for example photojournalist Shawkan, what would you say to them? It’s very easy for someone to give advice when they're sitting in the comfort of their bedroom. In Shawkan's case, I have been speaking about him in the media, lobbying and calling for his release. He's a photojournalist who’s been inside for three years, he's not committed any crimes. I've read his file and I’ve spoken with his family and visited them at home. All I can tell Shawkan is that his incarceration will not be in vain, he's now well-known in the world, in New York, in Europe. Everyone has seen his photos, when he comes out he needs to be stronger than ever because he's more famous than ever. I've sent messages to him in prison, I told him, 'when you come out, you're going to be able to get the job of your dreams and hopefully leave Egypt, go and do whatever you want'. But it is hard because false hope is a prisoner’s worst nightmare and I felt that many times, when people would say, 'you'll be pardoned' or 'you'll be released’. You get so excited but then when it doesn't happen it hits you even more. I hope that Shawkan is included on the next list of people who'll be pardoned. This week, African Media looks at an online technology, Refunite, that helps migrants and refugees to locate their loved ones, wherever they are. But first we go to Morocco, where a TV show sparked outrage on a lot of social media this week. In the first part of our magazine, Rothna Begum from the Women's Rights in North Africa for Human Rights Watch, explains why a make-up video sparked outrage in Morocco. On the morning show Sabahiyat, on Morocco’s state television, a make-up artist gave the audience some beauty tips to help them quote-unquote "carry on with daily life". But this was no usual make-up advice: she was showing women how to cover up bruises from domestic violence. This sequence from the show was then shared widely on social media. In the second part of the magazine, we spoke to the founders of Refunite, brothers David and Christopher Mikkelsen. The head of an Egyptian journalists union and two board members have in recent weeks been given suspended two year jail sentences and fined for harbouring fugitives. The charges against Yehia Kalash, president of the Egyptian Journalists’ Syndicate, Gamal Abdel Rahim and Khaled Elbalshy stem from a police raid on the union’s building in May. Two journalists, wanted by police over protests against the transfer of two Red Sea islands to Saudi Arabia, had taken refuge at the building. Egypt’s President Abdel Fattah el-Sisi has said the charges against members of the Journalists’ Syndicate was not an issue of freedom of speech. However, press freedom advocates such as the Committee to Protect Journalists have said the journalists union is being punished for working to protect journalists from harassment, threats and arrests. Meanwhile, a number of journalists continue to be held behind bars in Egypt often without charge. One such case is photographer Mahmoud Abu Zeid ‘Shawkan’ who has spent more than 1,000 days in jail following his arrest during the Rabaa protests in 2013. This week’s African Media speaks to an expert on Egyptian media to discuss the significance of the charges against members of the journalists union and a lawyer who is representing Shawkan in Geneva, petitioning to have his case recognised by the UN. Fatima el-Issawi, Middle East Centre, London School of Economics, on targeting of Egyptian Journalists’ Syndicate "This is unprecedented in the history of Egyptian media, but it’s part of a wider crackdown on civil liberties, civil society groups, lawyers and human rights groups. Definitely the crackdown on journalists is stronger than on other groups, it’s unprecedented. What we used to see under [former President Hosni] Mubarak was form of co-optation, intimidation, but we had a much higher margin of manoeuvre for expressing dissent in media. Since the military coup most of the media are singing the song of the military regime with only very few media and very few journalists who are trying to send a critical message about what's going on now in Egypt. They have to face retaliation - some of them are forbidden from traveling, some of them have seen assets in banks frozen - so it’s really a very fierce attack on journalists." Toby Cadman, international human rights lawyer, on case of detained photojournalist Shawkan "He has been brought before a judge, on the last occasion he was actually allowed to address the judge for the first time. My role has been working in highlight his situation with the United Nations. The UN in Geneva has a number of special rapporteurs and working groups that deal with particular instances of human rights violations. We filed a communication earlier this year with the UN Working Group on Arbitrary Detention. Egypt declined to respond and the UN working group recently, in the last couple of weeks, issued a ruling upholding our complaint saying that he should be released, he should be offered compensation. The matter has also been referred to the Special Rapporteur on torture because of his deteriorating health situation and the refusal to provide him with adequate medical care or to release him from custody constitutes inhuman, degrading treatment and may constitute torture." In this week's edition of African Media, we go to the DRC, where RFI broadcasts have been cut for over a week. Then, we talk to a young photographer who is challenging negative perceptions about Somalis. 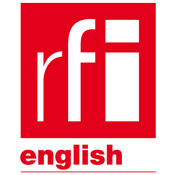 RFI has been unable to broadcast in Kinshasa, the capital of the Democratic Republic of Congo, since authorities cut its signal over a week ago. In this edition of African Media, we bring you the latest on the case and talk to a local media rights activist about the worsening situation for journalists as political tensions increase. Then, we speak to one of the founders of “Somali Faces”, a project that aims to share the extraordinary stories of Somalis all over the world to counter negative media perceptions. Mohammed Ibrahim Shire talks about the people he’s met and how it has changed him personally.